Bangalore is a burgeoning metropolis that has seen progress at a scorching pace in the last decade. From reputed educational institutes to multinationals, BPOs and now startups, Bangalore is a unique cauldron of innovative minds and skilled resources. The city also attracts talent from all over India. One such person is Deebiga. She came to Bangalore a couple of years back after completing her Postgraduation studies. She is a techie with a multinational in the city. She lives alone and apart from her work loves spending time cozying up with a book. A sensible, intelligent, independent single woman, Deebiga represents all that is wonderful with today’s new generation of women. She is ambitious yet level headed and very organized when it comes to money and keeping track of her finances. She gives credit to her father who instilled in her the importance of writing down and tracking every single penny. Deebiga is very much a today’s girl. She loves shopping online. She also uses Apps on her phone extensively. Her smartphone is her constant companion as she stays connected on social media. Being someone who uses Apps for their convenience, it was no surprise that Deebiga started with a mobile App that helped her manually input her financial transactions saving her the monotony of maintaining financial records using pen and paper that she would more often than not miss out on despite the best intentions. One day when browsing through Playstore, she clicked on a similar App called Money View and downloaded it. She loved the App from the word go. Thus, she does not need to do any manual entries except for her cash transactions. She goodnaturedly said that she almost always overspends on her first love, books. But Money View notifications now keep her more conscious of what she is spending on books. She also laughed and remembered how Money View reminded her how her spending on coffee exceeded her spend the previous month. She was quite amused at the detail of it all and how like a benign elder, Money View raps her on her knuckles once in a while. She loves Money View. It is of immense usefulness to her life. She loves the alacrity with which Money View comes up with new features. She loves the App so much that she has recommended it to friends and family. She is also going to participate in the #NazariyaBadlo contest, which is Money View’s New Year campaign that will enter her into a contest where she can win Rs. 1 lakh! 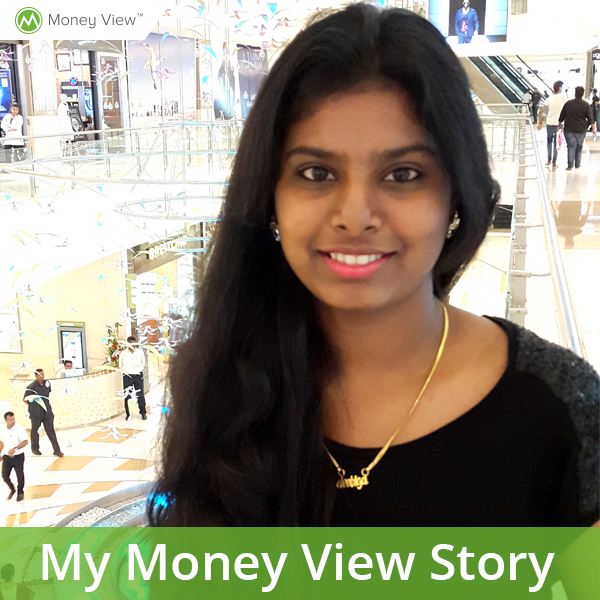 Yet another satisfied Money View user who has found a buddy in Money View to take the drudgery away from tracking finances. If you have a Money View story to share, do write to blog@moneyview.in and you may end up getting featured on the blog!